My hubby is a keeper! My hubby is an absolute keeper! 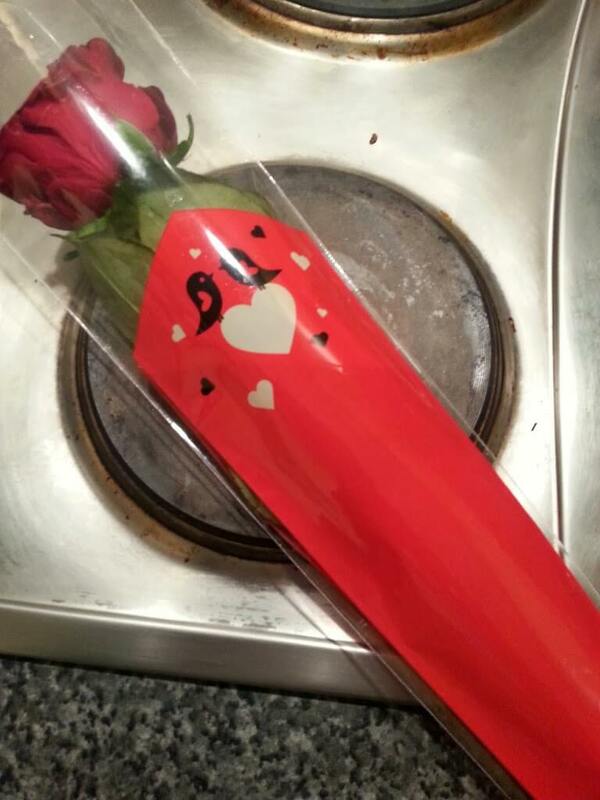 We were doing the weekly shop tonight and he proclaimed he was going to buy me some flowers! I thought I was very lucky as he’d only just bought me flowers a couple of weeks ago as an early birthday and valentines as he knew we’d be moving over that period! I love getting flowers and sometimes wish we had them in the house more often, but it doesn’t really happen. Hubby then proceeded to show me the flowers he was buying me (on our joint credit card may I add! ) 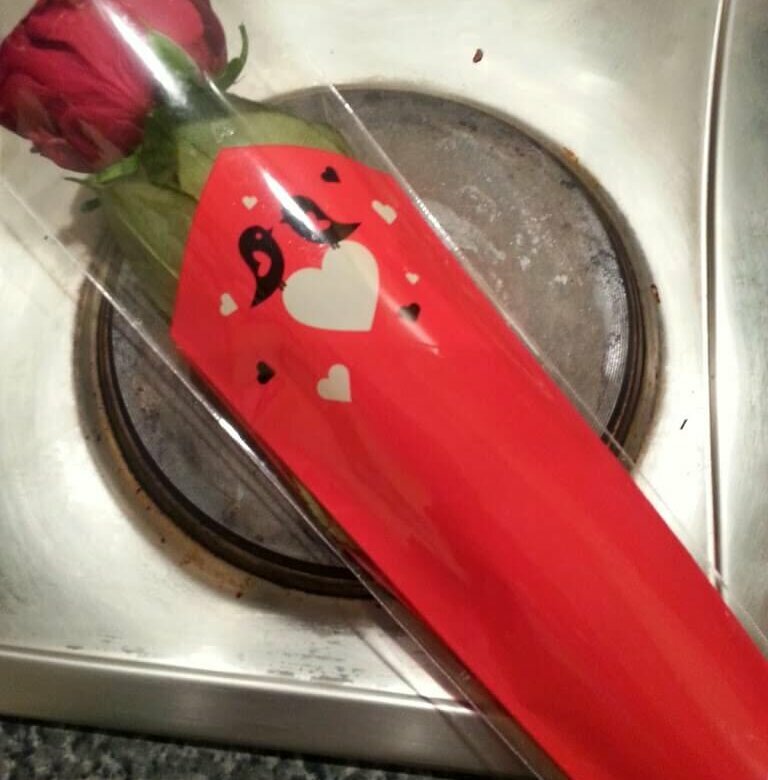 – a single red Rose, reduced to 11p! And then later added in a larger bunch of flowers reduced to 55p! Last of the big spenders eh? I love them anyway, though I’m not entirely sure how much longer they’ll last!